14 cm tall (5.5 inches). 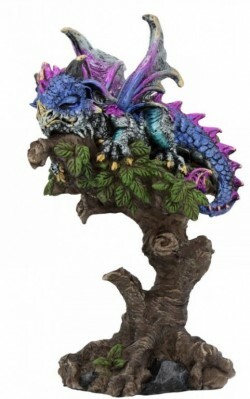 A bright blue and purple dragon sleeping in a tree. Relaxing little ornament. From the Nemesis Now Dragons range.